1. Working families or parents attending school and training programs, including Reach-Up, high school students and college undergraduates. 2. Families seeking employment: 12 weeks of funding are available. 3. Medical Need/Incapacity: With documentation from a physician or licensed psychologist, families experiencing incapacity from either a physical or emotional disability may qualify for support in paying for childcare. 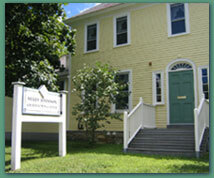 For help with the programs 1, 2, and 3 contact Jane Reilly, at (802) 388-4304, or e-mail her at subsidy@mjccvt.org . 4. Family Support is designed for families experiencing significant stress. Available for families who need help during particularly difficult times, family support helps qualifying families for a limited amount of time. A confidential form demonstrating the need for support is submitted along with the application. For help with program 4, contact Doumina Noonan at (802) 388-3171 or e-mail her at dnoonan@addisoncountypcc.org. For further information and details about these programs, check online at http://www.brightfutures.dcf.state.vt.us. Once you have arrived at the site, click on Child Care Benefits.